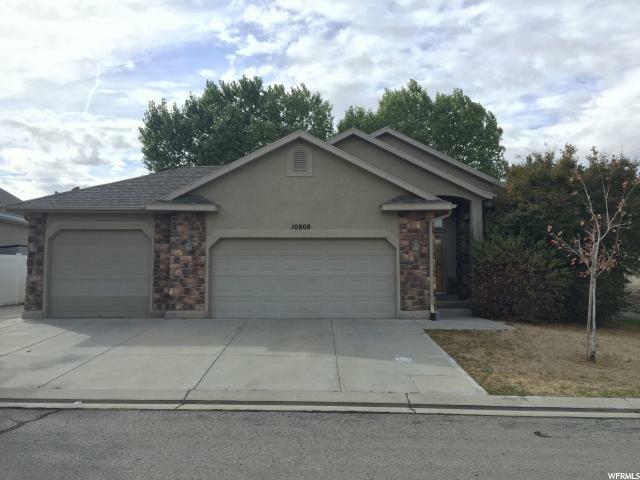 All SAND DUNES homes currently listed for sale in South Jordan as of 04/24/2019 are shown below. You can change the search criteria at any time by pressing the 'Change Search' button below. "***MULTIPLE OFFERS HAVE BEEN RECEIVED. DEADLINE TO SUBMIT HIGHEST AND BEST OFFER IS WEDNESDAY APRIL 17, 2019 BY 3PM. PLEASE INCLUDE ATTACHED MULTIPLE OFFER FORM WITH OFFER***What a pretty home! 3 bedroom rambler with a walk-in closet in the master - and a beautiful tiled shower, vaulted ceilings. Downstairs you'll see a beautifully finished basement with an additional 2 bedrooms, a bathroom, living area, as well as second large family/living room. This home is on a very nice, quiet street, but close to schools, shopping, and freeway access. This home has new carpet, paint and appliances, which only enhances this beauty. Come and see this charmer, you'll be glad you did! ***KEY BOXED AND VACANT, SHOW ANYTIME, NO APPOINTMENT. Square footage figures are provided as a courtesy estimate only and were obtained from county records . Buyer is advised to obtain an independent measurement."